Explore the homes of some of Russia's most famous writers. March is not a good month in Moscow. The skiing and skating seasons are over, but the running and biking seasons are but a dream of the distant future. You've explored every mall and binge-watched every television series produced within the last decade. You've mastered several complex, day-long French recipes and gotten loopy trying to distinguish between vintages of your favorite wine. And yet it's still not spring. 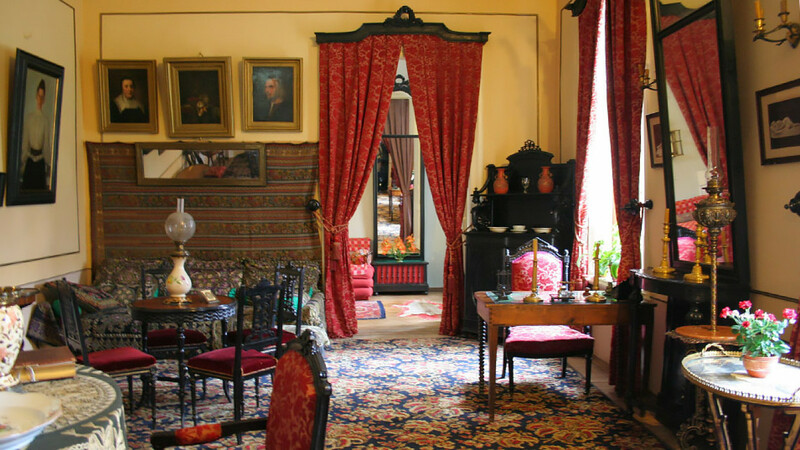 Try this: Visit a few of Moscow's house museums. Here are some of our favorite – and in some cases lesser-known – apartments and houses where Russian writers chased their muses. The Gogol House Museum on Nikitsky Bulvar is a unique architectural and cultural monument to the writer. Nikolai Gogol worked on his second manuscript of “Dead Souls” in the house — a work intended to portray virtuous and moral characters to set an example for Russian readers after the darkly satirical first part of the work. Frustrated by his efforts, he famously burned the manuscript in a fireplace just before his death. 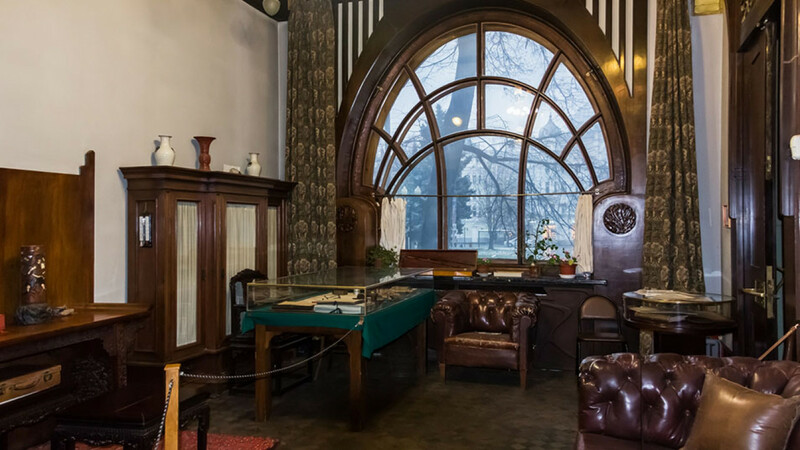 You can still see that fireplace, along with items like Gogol’s death mask and the last letter he wrote on his deathbed. The Gogol House Museum has made efforts to make itself as accessible as possible, with audio guides and touch-screen computers. Anton Chekhov’s house on the Garden Ring is a vibrant red color, a feature to which he jokingly attributed his liberal thinking in a letter to one of his acquaintances. The modest house gives you some impression of what life might have been like for the writer, who battled both ill health and poor finances. Chekhov received patients at his house while working as a doctor to supplement his writing, although apparently only between the hours of noon and 3 p.m. He left the rest of his time for creative endeavors. 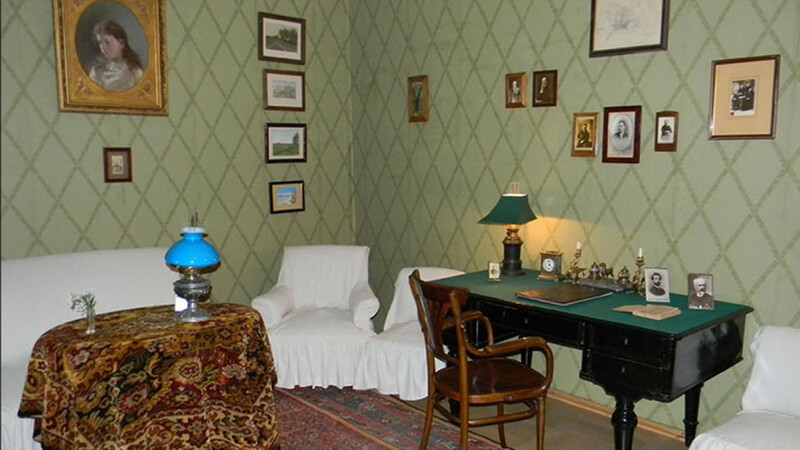 Visitors can see the writer’s desk and inkwell, as well as rare photographs of Chekhov and his friends and family. Leo Tolstoy’s winter residence is an island of calm in central Moscow. The author moved to the house in 1882 so that his children could benefit from better schooling. Nonetheless, the wooden structure and its surrounding garden hark back to a simpler, countryside lifestyle. Hints of the author’s strict moral philosophy and simple aesthetic can be seen throughout the house, which despite its generous size had no electricity or running water. 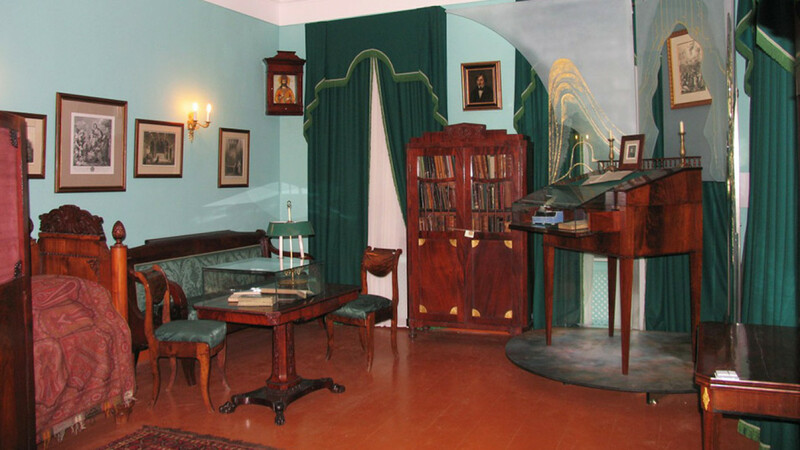 Visitors can see the desk where Tolstoy’s wife Sofia transcribed his manuscripts and the reception room where the writer socialized with the likes of Sergei Rachmaninoff. Marina Tsvetayeva is considered one of the greatest poets of 20th-century Russian literature. 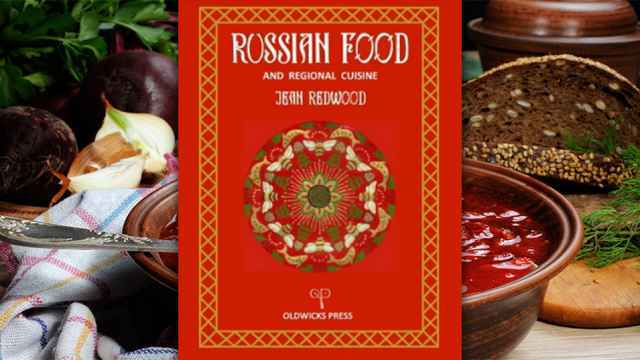 She had a tragic life: Her daughter died of starvation in a state orphanage; she emigrated and then returned to the Soviet Union, where she was widely ostracized; and she eventually committed suicide in 1941. 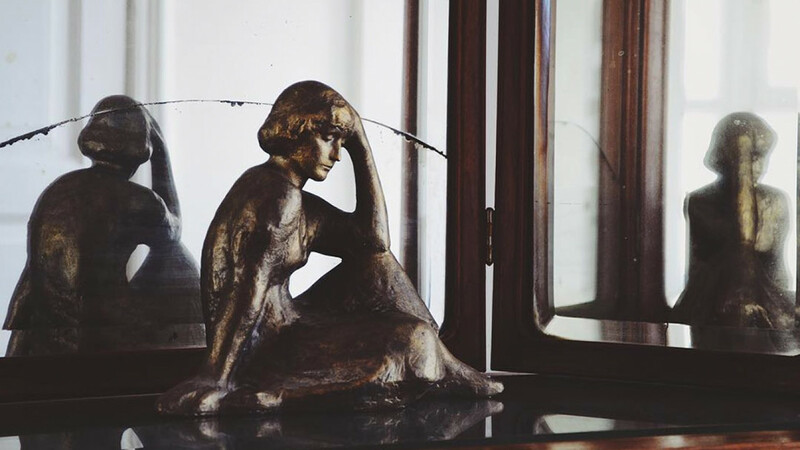 But her poetry is acclaimed for its passionate lyricism.The Tsvetayeva House Museum opened on the 100th anniversary of Tsvetayeva’s birth, following interventions by public and cultural figures to stop the building from being demolished. The museum now houses a collection of Tsvetayeva’s photographs, poetry and books. Even if you harbor lukewarm feelings about Maxim Gorky, this astonishing Art Nouveau mansion on Malaya Nikitskaya is still worth a visit. 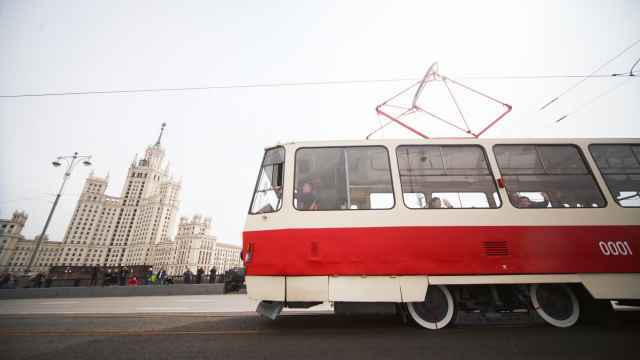 Purportedly gifted to Gorky by Stalin on the author’s return to the Soviet Union, it was designed by the renowned architect Fyodor Shekhtel for banker Stepan Ryabushinsky. The most interesting feature is the magnificent marble staircase, which climbs to the first floor like a sea wave. For someone who was such a proponent of the proletariat, Gorky lived out his life in a most lavish home. The walls are decorated with a mosaic frieze of the paradise garden, while stained glass windows filter in colorful light from the garden. Gorky’s study provides a more personal insight into the author’s life: You can see the original worn-down coloring pencils he used when marking his manuscripts. 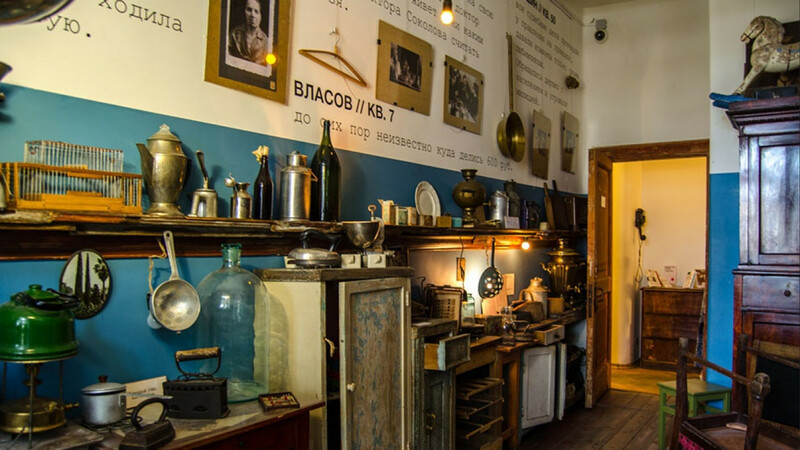 There is always something kind of funky going on in the Bulgakov Museum, which befits a place dedicated to “The Master and Margarita” and its author, Mikhail Bulgakov. 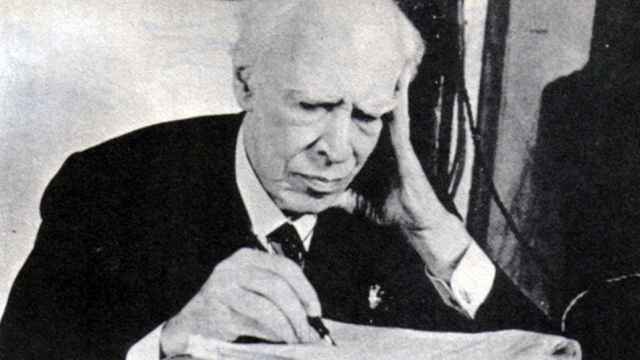 Though often censored during his own lifetime and prohibited from publishing, his most famous novel was published posthumously to international acclaim and became perhaps Russia's first real cult novel. There is an art center and theater on the first floor of the old apartment building, as well as a small museum where he and his wife, Tatyana Lappa, lived. The walls along the building’s stairwell are covered in graffiti commemorating Bulgakov, a devoted ritual that started during perestroika. You'll know the Turgenev House Museum when you see it. From the street there is a perfectly unobstructed view of the adjacent building's southeast-facing wall, which features a spectacular four-story painted mural of the writer and his favorite dog. The year 2018 marked the 200th anniversary of Turgenev's birth, and the city of Moscow hosted countless conferences, lectures, performances, and festivals in the writer's honor throughout the year. 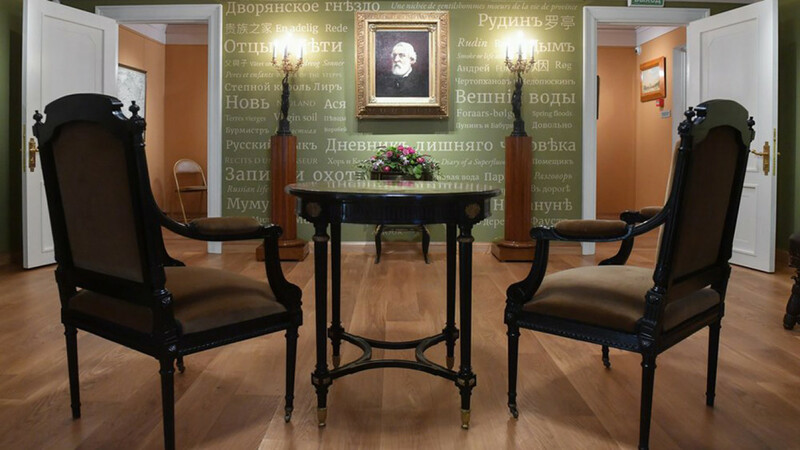 As part of these celebrations, the Turgenev House on Ostozhenka was completely restored and re-opened to the public in November 2018. Turgenev's works had a massive impact on 19th-century Russian society and politics. His "Sketches from a Hunter's Notebook" is often credited with having heavily influenced Tsar Alexander II's decision to end serfdom in the Russian Empire in 1861. One of the most beloved sketches from that series, "Bezhin Meadow," was written in this very house.